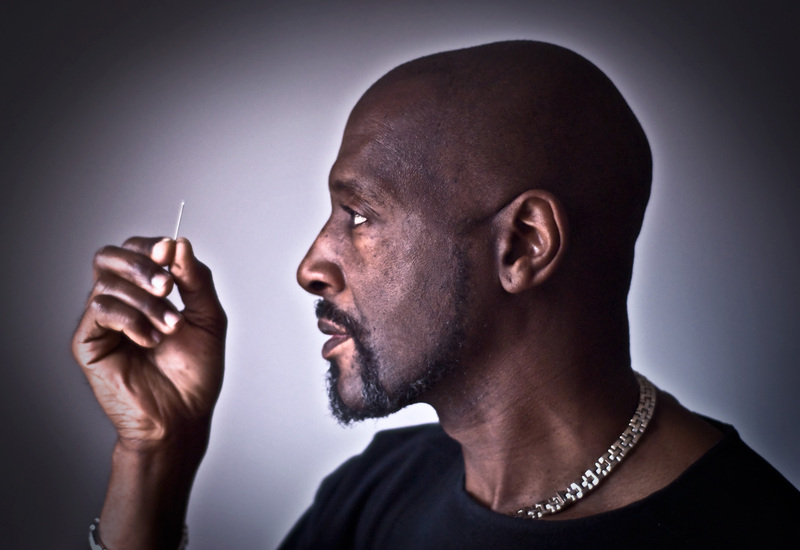 Birmingham is the first city to see brilliant new microscopic artworks by the internationally renowned artist Willard Wigan MBE. His stunning solo show ‘In The Eye of The Needle’ showcases 21 works from the artist’s collection in the historic Jewellery Quarter. The exhibition brings together Wigan’s interpretations of artistic masterpieces, religious icons and fairy tale figures, each positioned in the eye of a needle or on the head of a pin. Born in Wolverhampton, Wigan first began creating miniature art works when he was at school, or rather playing truant in the shed at the end of his garden. It was during his childhood that he experimented with what he refers to as “a world which we can’t see”, making tiny houses for ants and other insects. He explains that he “became their landlord, although they didn’t pay any rent”! It was his mother who advised and encouraged him to make his sculptures smaller in size: “I remember my mum saying to me: ‘You will get bigger by making things smaller’”. Wigan reveals that creating each of these works is painstaking: “I’ve only done about 300 pieces in my whole life – each one can take three months”. During the process he will hold his breath whilst manipulating materials on a molecular level, often working through the still of the night, with materials from grains of sand and dust fibres to gold. To carve his figures, Wigan uses surgical blades or hand-made tools, some of which are custom made by attaching a shard of diamond to a pin. “My art proves that just because you can’t see something (with your naked eye) doesn’t mean that it’s not there. I wanted to show how big nothing has become and how big you can become with nothing”. I am captivated by Wigan’s magical world. Unable to see the works with my naked eye, I look through microscopes at each of the of mesmerising miniatures, enticed to look closer at the world’s smallest Pair of glasses on a pin head, Little Red Riding Hood and Pinnochio, whose arms stretch out to the edges of the needle eye. There is a humour to many of the works, including a microscopic William Shakespeare, accompanied by a scroll which reads ‘To see or not to see’. Alongside the new pieces, visitors are also able to see some of Wigan’s most popular sculptures, which include Evolution (from ape to man), and more religiously themed scenes such as The Last Supper and Christ the Redeemer, who it set against a bright blue sky. I am in awe at Wigan’s Guinness World Record holding sculpture Golden Voyage – a motorbike carved from specs of gold inside a hollowed out human hair. I would say you have to see it to believe it, but I still can’t quite comprehend how Willard has created these intricate, magical micro-sculptures. He has rightly earned his title as ‘The Eighth Wonder of the World’. ‘In The Eye of The Needle’ will be open from Friday 4th August to Saturday 28th October, Tuesday to Saturday 10.30am – 5.00pm at Birmingham’s Museum of the Jewellery Quarter. Entry to the exhibition, including a tour of the museum, costs £10 for adults, £5 for children and £8 for concessions. There will also be Willard Wigan exhibition only tickets available – costs £5 for adults, £2.50 for children and £4 for concessions. To find out more, and to book tickets, you can visit the website here. Willard Wigan has also designed a bear for The Big Sleuth trail which will be on display at Birmingham Museum & Art Gallery from Monday 10th July. The bear will have a surprising secret that visitors will need to discover when they visit. Museum of the Jewellery Quarter is currently recruiting for Volunteer Exhibition Interpreters to work at the exhibition. If you have an interest in Willard Wigan’s work and would like to share this exhibition with visitors please find out more and apply online here. Arts careers | How do I get a job in museum education?